If you’ve got Prime and a pet, here’s your no-brainer deal of the day. 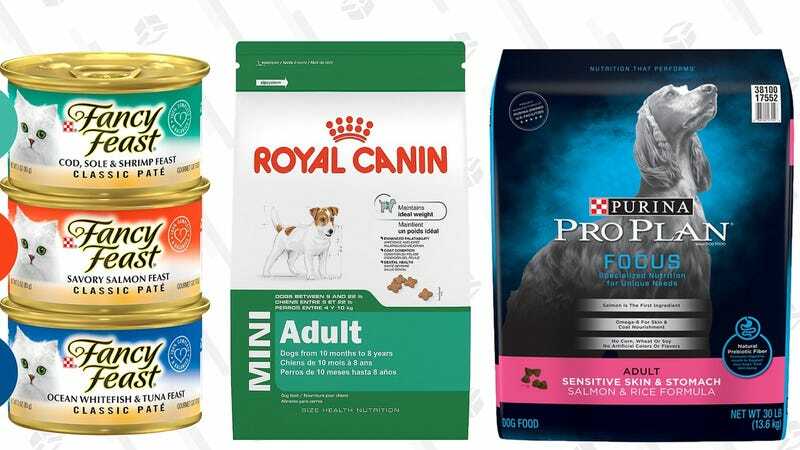 For a limited time, Prime members who use Subscribe & Save to order pretty much any kind of pet food that Amazon sells will get a whopping 40% off your their delivery. After your first order ships, you can always cancel the subscription, so there’s no commitment, just massively discounted pet food. For a limited time, members of Amazon Prime qualify for a 40% discount, up to $50, on the first order of their first Subscribe and Save dog or cat food subscription. Certain product exclusions apply; qualifying items will display the coupon offer. The promotion is limited to one unit and one coupon per household. To get the deal, you’ll need to clip this coupon on the product page.